theFoodette & Family: Sponsorship for Adventures in my Kitchen! Sponsorship for Adventures in my Kitchen! See this picture over there on the right sidebar? That could be your blog &/or website! I finally decided to start offering sponsorship for the blog! It's worked really well for me in the past to sponsor other blogs and I feel like I now get enough daily/weekly/monthly page views to start sharing the love with other great blogs! Your ad (200x200) is placed on my right sidebar for a month. I will periodically rotate the ads so that everyone gets a chance to be at the top. 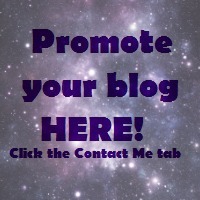 I will also promote your blog through Facebook shares and organic pins! I'd also love to have my sponsors guest post, but that's totally up to you! Need me to help promote something on IG, FB, or Pinterest? You got it! Food, fashion, fitness, lifestyle, parenthood, you name it! Whatever you blog is, I'd love to help promote you! E-Mail me today!